If you have to have parts replaced when your car is repaired, it’s likely you’ll have a choice of parts: OEM, aftermarket, or salvaged. 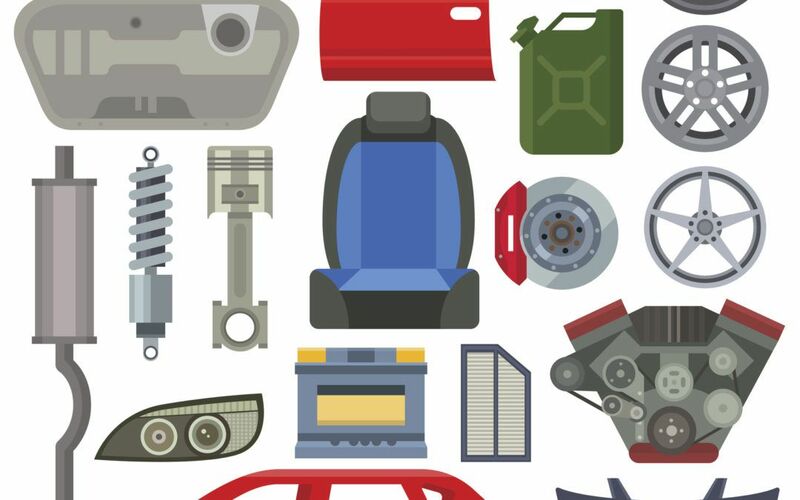 You may have heard the general difference: OEM is the exact part your car had when it was new, aftermarket parts are like off-brand replacement parts, and salvaged or recycled parts have been used on another car. In general, that’s true. But there is a little more to aftermarket parts than meets the eye. There are other names for aftermarket parts. You might hear aftermarket parts referred to as non-OEM parts, generic parts, or competitive replacement parts. Sometimes aftermarket parts are the best option. Just because they’re not made by the original parts manufacturer doesn’t mean aftermarket parts aren’t high quality. Sometimes, they may be made of higher quality materials or included added technology that the original parts didn’t include. Sometimes, they look the same but fit your budget better simply because they are made by a different manufacturer. ● Aftermarket parts generally have great warranties. Aftermarket parts can come with a warranty. If you’re worried about the warranty on your vehicle, check with your warranty provider. Sometimes, aftermarket parts come with their own warranty that surpasses your original warranty! Each part is different so always ask. You can find certified aftermarket parts. If you’re wondering about the quality about aftermarket parts, look for a certification. CAPA and NSF International are two reliable certifications you can check for. You may have to ask about the parts used on your car. If you want to decide whether your car is repaired with OEM or aftermarket parts, ASK YOUR REPAIR SHOP. In some states, insurance companies can choose for you without your consent. In other states you have to be notified or approve the parts used on your car. It’s not uncommon to use aftermarket parts and it’s not necessarily a bad thing. However, as a vehicle owner, it’s in your best interest to know what’s going on with your car. If you have questions, as your repair technician. If you’re not sure about what’s going on with your car, ask! A great repair shop will help you understand and make an educated decision about your auto repair.